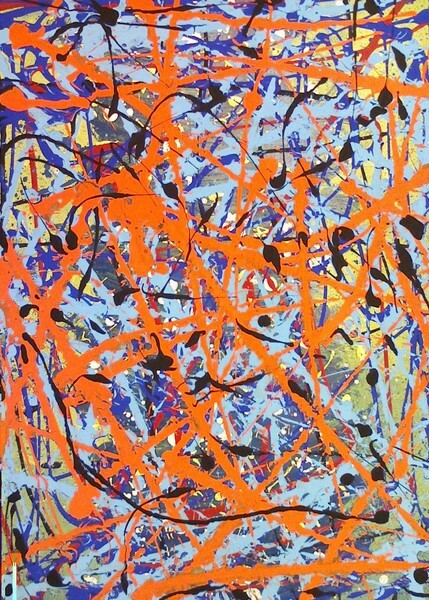 Artist Reply: Flo Rian---It's fun doing this type of action painting. I then cut them in 2.5" x 3.5" sections to make ATC's that I give away. Thanks for the comment. Please check #15 in the current AW contest. Consider voting for her.